I’m writing this blog the Monday after the Thanksgiving holiday, and having survived a Black Friday shopping adventure that started just a couple of hours after finishing the turkey last Thursday. While waiting in line for the doors to open and the tryptophan to wear off, I worked on plotting a strategy through the store to find a robotic vacuum cleaner, an Amazon Echo, some LED lights for outside, and the latest Minecraft toy for my youngest son. As the clock ticked towards 6 P.M., I felt confident in my plan and ready to go. When the doors opened, and folks started streaming in, I grabbed a cart. This is always a tricky decision, as it immediately limits your mobility and possible escape routes. However, I knew ironically that the vacuum robot wasn’t going to push himself around quite yet. With cart in hand, I had to take a wider path, so I went a circuitous route to avoid the anticipated crowds, and ended up in housewares near where I expected the robot to be. The first thing that caught my eye though wasn’t the vacuum cleaners, or the shiny Christmas plates, it was the cooking pans. It wasn’t the color, or size, or even price that piqued my interest, it was the material on the label: Titanium. Now I’m no gourmet chef, but I generally don’t think of Titanium as a material used for pans. I’m more familiar with its applications in aerospace engine applications, in medical implants (see https://edaxblog.com/2014/01/22/bringing-oim-analysis-closer-to-home/), and in golf clubs. I’ve certainly polished more Titanium samples than I want to remember. Seeing these Titanium pans, it got me thinking about material selection, how material scientists must balance different materials properties (and cost) to match a material with an application, and where Titanium fits in the world of cooking. One of my favorite cookbooks is “The Food Lab”, by J. Kenji Lopez-Alt, which has the sub-title “Better Home Cooking Through Science”. I’ve enjoyed reading this book because the author systematically tackles questions like “Is New York pizza better because of the water?” using the Scientific Method, and writes humorously about the results as well as providing delicious recipes. 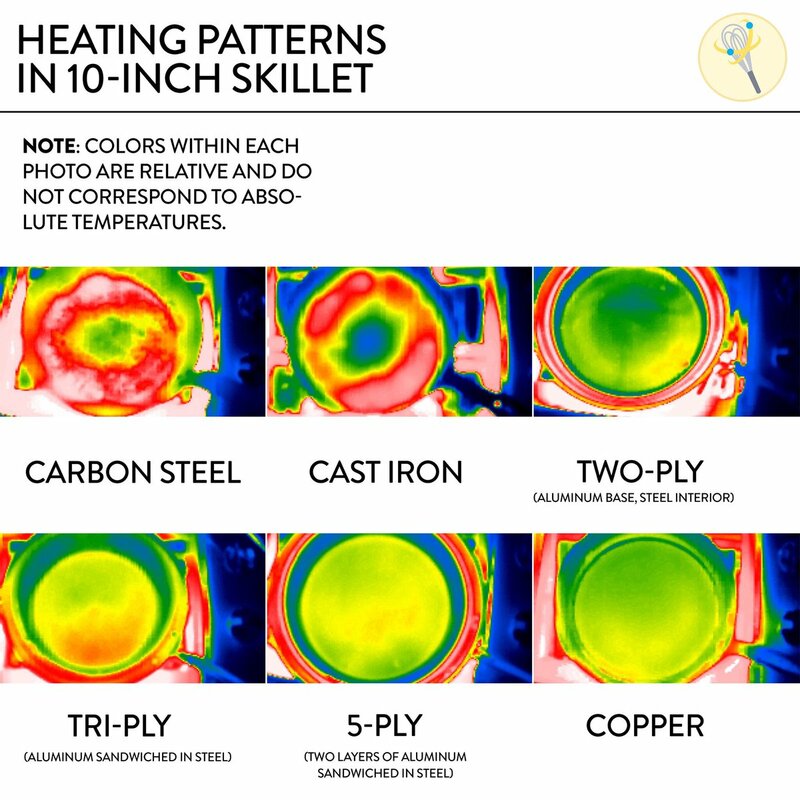 I’ve also taken to following him on Twitter (@TheFoodLab), and a recent post shows the pictures, (shown here as Figure 1), using an Infrared (IR) camera, of skillets made of different materials. Figure 1. Heat distribution in pans made of different materials. I found it a fascinating picture visualizing the heat distribution, derived from the thermal conductivity of the materials. Stainless steel is non-reactive, so you can cook anything in it. However, it doesn’t have the greatest thermal conductivity. Cast iron has a similar issue, and takes a while to warm up but once it’s hot, it stays hot, which is great for searing meat. Aluminum has better thermal conductivity, but also soft, scratchable, and can react with some foods. Copper is another material with excellent thermal conductivity, but it is reactive to certain foods. When confronted with these types of property challenges, material scientists like the best of both worlds, so composite pans have been made where copper and/or aluminum are sandwiched with steel to try and combine thermal performance with a non-reactive surface. So what advantages does Titanium bring to this application? As with the aerospace and recreational applications, Titanium has a good strength to weight ratio. It’s lighter than steel and stronger than aluminum, as well as being corrosion-resistant. This means it’s the lightest cookware you can buy. Not necessarily the most important feature in the kitchen, but it does have value for cookware designed for camping. All this thinking about optimization of thermal conductivity made me think about work done on thermoelectric materials. These materials convert a temperature differential into an electrical potential. Unlike these cooking pans, these materials want to minimize thermal conductivity while maximizing electrical conductivity. This is an interesting challenge. Thermoelectric properties can be optimized by increasing grain boundary density to disrupt phonon heat transfer. 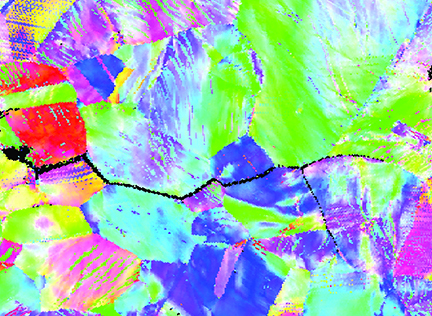 Figure 2 shows an EBSD IPF map of a Bismuth Telluride thermoelectric material that was made by shock-wave consolidation. This manufacturing process was investigated as a way to consolidate thermoelectric powders while retaining the nanostructure. More information can be found in our paper at: https://link.springer.com/article/10.1007/s11664-011-1878-4. In the end, I decided not to buy a pan, but I did get the robot vacuum cleaner. I look forward to asking Alexa EBSD-related questions, just to see what happens. I also hope Santa brings me something that is microstructurally interesting, that perhaps I’ll use in my next blog. November seems to be the month when the industry tries to squeeze in as many events as possible before the winter arrives. I have had the opportunity to attend a few events and missed others, however, I want to share with you how much I enjoyed ICOTOM18*! ICOTOM (International Conference on Texture of Materials) is an international conference held every three years and this year it took place in St. George, Utah, the gateway to Zion National Park. 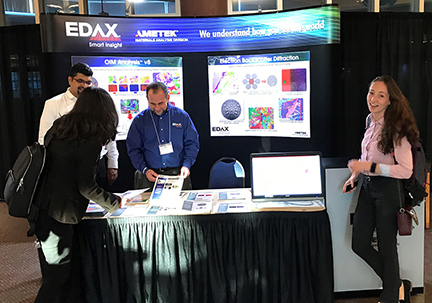 This was the first time I have ever attended ICOTOM which is, for the most part, a highly technical conference, which deals with the material properties that can be detected and analyzed by Electron Backscatter Diffraction (EBSD) and other diffraction techniques. What stood out to me this year were the depth and degree of technical presentations made at this conference, especially from industry contributors. The presentations were up to date, data driven, and as scientifically sound as any I have ever seen in the past 25 years of attending more than my share of technical conferences. The industrial adaptation of technology is not new since X-ray diffraction has been utilized for over half a century to evaluate texture properties of crystalline materials. At ICOTOM I was most impressed by the current ‘out of the laboratory’ role of microanalysis, and especially EBSD, for the evaluation of anisotropic materials for quality enhancement. 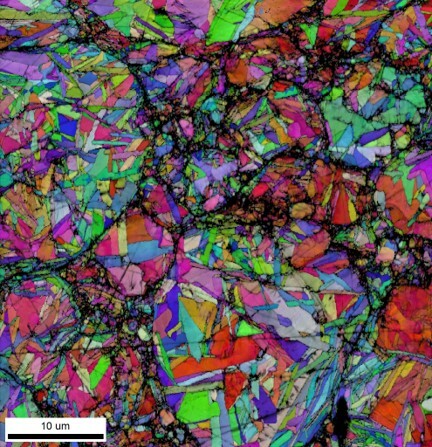 The embracing of the microanalysis as a tool for product enhancement means that we equipment producers need to develop new and improved systems and software for EBSD applications that will address these industrial requirements. It is essential that all technology providers recognize the evolving market requirements as they develop, so that they can stay relevant and supply current needs. If they can’t do this, then manufacturing entities will find their own solutions! *In the interests of full disclosure, I should say that EDAX was a sponsor of ICOTOM18 and that my colleagues were part of the organizing committee.